WATERLOO, Iowa --- Black Friday shoppers had nothing on the crowd that gathered Saturday morning inside Crossroads Center. Music blasted from the lower level stage. 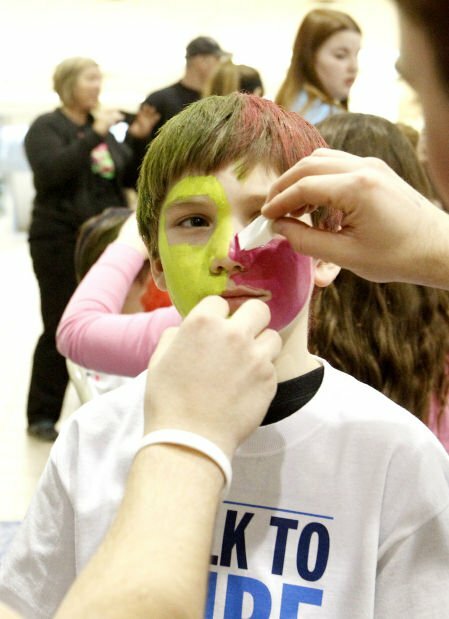 A bouncy house, face painting and bracelet-making stations attracted visitors with young children. Matching T-shirts made it easy to see who belonged with whom. But these people sought something far bigger than rock bottom deals on towels and televisions. They were there to help find a cure. Mike Schrock, the development coordinator for the Eastern Iowa Chapter of the Juvenile Diabetes Research Foundation, said between 1,500 and 2,000 people participated in the annual Walk to Cure Diabetes. Sydney Laures of New Hampton was diagnosed with Type 1 diabetes in October. Saturday, she cut the ribbon to officially start the walk. Her father, Mitch Laures, said the JDRF and local chapter leaders have been a blessing as they started down this path. "Mike has been a great resource, and someone from JDRF had already left a message on our machine to see if we needed anything when we first got home from her doctor," Mitch said. "They put us in contact with another family and we've already met them." The team, Syd's Striding Saints, started their fundraising efforts a little later than some, but by the time Sydney cut the ribbon they had collected nearly $5,000 for research. "People are so ridiculously generous," he said. "It all just almost puts a lump in my throat." An estimated 26 million people have diabetes, though only about 3 million have Type 1 diabetes. The rest have Type 2 diabetes which can often be controlled through diet and exercise. Nearly $57,000 had been donated by walk time, but Schrock said the fundraising efforts would remain active for another 30 days online at www.jdrf.org. Schrock said the money will all be donated to the foundation for research. In November Forbes Magazine named JDRF a top 5 "All-Star Charity" for its efficiency. Schrock said volunteers run much of the organization which allows 82.5 percent of every dollar donated to be used for research. "We want to cure diabetes and we are serious about how our money is used," said Schrock, who was diagnosed with Type 1 diabetes about 21 years ago. His 7-year-old daughter was diagnosed about three years ago. For many though, the day was just as much about supporting a friend or loved one as it was about raising money for a cure. Jena Jaspers of Lisbon joined the walk to support her 7-year-old niece, Ella, who was diagnosed when she was just 1. "We want Ella to know she is not alone," Jaspers said. "This is a tough thing she goes through everyday and it is good for her to know there are other kids just like her." 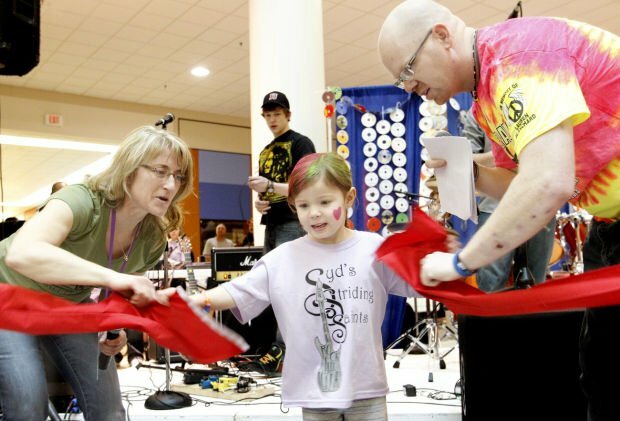 One of them is Jocelyn Shaffer, a fifth-grader from Starmont Elementary School in Arlington. About one dozen of Shaffer's classmates, and even her teacher, Janet Swanson, joined her for the walk. Swanson said the kids raise nearly $450 over the holidays by forgoing giving gifts to each other. "It's makes me feel good to know I have friends on my side," Shaffer said. What a wonderful organization! I know how hard the entire Simmons Family works for this cause including their son, Dylan, who is Type 1. Someday, due to efforts of the JDRF members, a cure will be found.